Welcome, graduate students new and returning, to the 2018-19 academic year. Today, 9/5, we begin again. One of the great things about being involved in education in any way, as student or professor or anything else really, is that we get to experience these punctuated moments of significance in the cycle of the annual calendar, in the cycle of our lives. 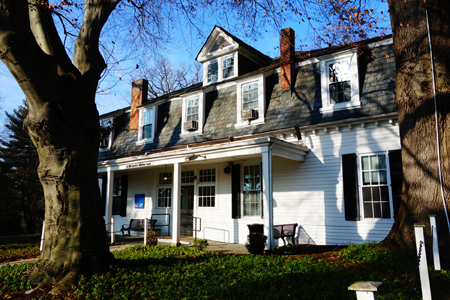 Here at the start of the academic year the Dobbs Ferry campus, where I sit and write this post, is packed and buzzing. Hallways are dense with students and faculty and administrators on the go as much as with the din of classroom discussions. Down by the river, athletes practice their various sports for the fall season. Out from the dorms spill laughing and hollering students. The library is already a riot of activity and the cafeterias are packed. Parking lots are full. These halls are alive again, and so too today are the virtual halls of our online coursework. I hope you all are ready for a new semester, a new academic year, and are as eager to get into your studies as I and your other MA professors are to start exploring together the literary pathways ahead. As you go out into your classes this year you might keep in mind the School of Liberal Arts (SLA) theme for 2018-19: transformations. The SLA theme is something that our Dean, Dr. Tamara Jhashi, began several years ago, is selected anew each year by a faculty vote, and is meant to provide a unifying beacon shining across all the many different SLA programs and departments. It provides us a light to which, if you’re interested in the idea and/or in feeling a part of the SLA academic community, you might turn in your studies, paper topics, discussions, etc. It’s nothing formal, and you don’t have to give it another thought if it’s not interesting to you. But if you’re looking for a way to increase the feeling of being a part of an academic community, of being a part of something larger, then you might consider how your studies in any of your classes might engage or involve the theme of transformations. When it comes time for the spring symposium here on the Dobbs Ferry campus, those of you who are able to participate might find the theme of transformations a useful one when developing possible symposium papers. Perhaps! Another thing you might keep in mind as you go about your studies, and particularly later in the semester as you gear up for writing your various term papers, is the assessment criteria we use internally in the program when evaluating the final ENGL 599 thesis papers which each of you will eventually write during your final semester in the program (and some of you reading this are about to start writing your 599 thesis papers right now). Even though these criteria are only applied to the 599 paper, and even though they are just used internally and are something we need to track as part of our college’s accreditation requirements, they can still be useful for all of you to know and keep it in mind when writing any paper for any class: because as you’ll see in the assessment rubric we use the criteria correspond to the program’s five learning outcomes, which are the big-picture things we hope you are learning throughout your time the program; and because the criteria are just the basic sorts of things all literature students should be working to address, improve, even perfect in all of their scholarly papers. So each of you should take the time to download the 599 rubric and just read over it to learn the sorts of things we look for and measure through it. Okay that’s it for the main points I wanted to touch on here at the start of the new academic year. Before signing off let me provide you with links to some of the resources available to graduate students here at Mercy College. This information repeats information found elsewhere on this blog but some of you might find it helpful to have it repeated here all at once. Okay this blog post here contains a rundown of resources and contact-info that Mercy College provides for its students, whether on-campus or online. On this post here you’ll find critical information about the incomplete “I” grade which some of you might occasionally receive. For those approaching their last semester, you must pay attention to your required comprehensive exam, to the instructions for how to enroll in the final 599 course, and to the application you must complete in order to graduate. For those hoping to enter the college teaching job market check out this post here where I introduce a variety of resources and information on that topic. If you’re going to be applying to anything in any academic field you’ll need to have your curriculum vitae (CV) polished up and also need to know the difference between a CV and a resume. I talk about that here. Finally, remember that although you can get advising from Student Services, I serve as faculty advisor to every student in the MA program. I am here to help and to answer any questions at cloots@mercy.edu. Okay that’s it! Have a great school year and fall semester, everyone. Check back here regularly for program news and info. I’ll be putting up a post soon sharing some news on recent faculty publications and other scholarly activity, as well as a post announcing the spring registration-opening date. So make this blog a periodic stop this semester and all during your time in the MA program. Final note: if any current students or alumni have any news about scholarly activity, publications (scholarly or creative), jobs or doctoral-programs, please share this with me. Cheers, all. 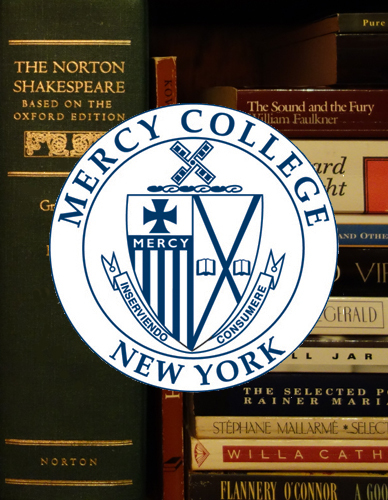 Welcome, all you MA students both new and returning, to the 2017-18 school year of Mercy College’s Master of Arts in English Literature program. At the end of this letter I’m going to share some helpful program information/links. Before that though I want to encourage each of you, even challenge each of you to consider and pursue as best as you can the following four points over the course of this new school year. Consider: what is your primary literary interest? What is the author, or type of literature, or era, or genre, or theoretical focus, or any other thing that you love to read, study and explore more than any other? Of course you each likely have many literary interests and loves, many different authors and works that come to mind. And naturally you might have a different answer depending on the day or semester. That’s all healthy, and the MA program encourages you to get prepared in and excited about a diverse range of writings, from traditional to eclectic. You should get a solid footing across as wide a range of writings as possible during your time in the MA program. But if you had to focus in on one area or author, on one thing that is your thing above all else, what would it be? Even if you’re just starting out the program and graduate studies you might still consider this in terms of: what was the literature that inspired you to pursue MA studies? Or: if you could design and teach one course on any topic, what would that topic be? When you get to the final course in the program, ENGL 599, you’ll basically be asked to do this very thing—to select your favorite topic of focus and then to design a thesis and customized reading list around it. In many respects the 599 course is a custom course that you design and execute with the help of your mentor. If you start thinking now about what your thing is you should have an easy and fun time later when it comes to deciding upon a focus for your final 599 course. Also: by becoming more conscious of your deeper interests and literary affections throughout your progress in the MA program, you can start personalizing your coursework—all of your coursework—in ways that can make any course more relevant to your personal interests. So for example you might find yourself taking Medieval Lit. in order to fulfill one of your Literature Group 1 requirements, and might (hopefully) find meaningful the study of the medieval texts and ideas. But maybe your thing is psychological approaches to literature, or British modernism, or gender studies, or Toni Morrison, etc. If so you can integrate any such pursuit into your medieval studies by (a) designing a paper topic that blends your particular interest with any course’s content, and (b) privately augmenting your required readings with other readings that cross between the course’s focus and your interests. (More on that in a second). You don’t have to take my advice here—perhaps you prefer to remain a bit more nebulous in your approach to education, and to absorb the curriculum as it comes to you rather than actively engage it and turn it as you like. That’s entirely up to you. I would understand that approach, as different approaches have different qualities. But I encourage you to at least reflect on this point here at the start of the new year: What is your thing? Your reading loads will vary, sometimes significantly, from class to class and from unit to unit. That’s just part of graduate literary study and is something each of you must balance and navigate in your own way, in your own time. But no matter your reading load you should consider your courses’ syllabuses as starting points. You don’t have to go deeper into and research further everything you encounter. Some semesters you might not read anything other than the specific syllabus texts and whatever sources you find for your term papers. Some semesters you’ll be so swamped with responsibilities that reading beyond the syllabus would be absurd (we only have so much time in the day, the week). That’s fair and understandable. But when you do discover a reading or author that turns on the lights, well go off the syllabus and go research related primary and secondary sources. Don’t wait for your professors to tell you to go exploring off-syllabus. We hope that something we’re doing in class is sending off sparks which might ignite your further interests throughout the semester. Remember that one thing the MA program seeks to do is develop you into a professional-level literary researcher and scholar. Going off-syllabus and exploring further the things that interest you is one sign that you are developing as we hope you will. Okay basic technical thing here but this is important. An avatar is an image that will appear alongside each post you make in every Blackboard class you’re taking. An avatar allows you to provide some small but meaningful visual representation of yourself which complements your written words, and it provides all of your fellow students with a recurring visual icon by which to get to know you better throughout the semester. Avatars are an essential part of any online community or learning environment and you should all have one. Click here for instructions for how to upload an avatar into Blackboard. There should be no avatar-less accounts in any online classroom. Distance learning, for all its strengths and advantages, has the potential (ironic) disadvantage of leaving some students feeling disconnected. Not every student feels this, and not every student cares. Some students actually prefer that they can orbit in and out of the virtual setting, meet their minimum commitments and do their work, and then get back to whatever is the rest of their life. That’s fine. Other students though value, yearn for, even need the connectivity and development that can happen, week in and week out, in the discussions. For those students here are a few suggestions for making sure you get the level of engagement you want in discussions. First, make the first move by responding to someone else’s post. That is, reply to other conversations rather than waiting for others to join in on a conversation you may have started. And don’t hesitate to join in on any conversation that seem to be “in progress” no matter how many others have already posted there. Those are the best conversations to join in as those are the closest the virtual room comes to matching the dynamic banter of a physical seminar session. I’m still waiting eagerly to see the single discussion thread in which every student participates. The bottom line here is to be proactive about talking to other people rather than waiting for someone to talk to you. Also, get into the unit discussions early and come back at least a few times throughout the unit to develop and carry on discussions. If you’re looking to develop connections well don’t wait until the last few hours of a unit to sign in and make your posts. For one thing posts that appear at the very end of a unit will probably not get many or any responses due to the timing. For another thing, students look to see who shows up and when they do in order to figure out who’s looking to talk and converse and who’s just doing the basic requirements. Again, there is nothing wrong with just doing the basic requirements. For many students that is the great advantage of distance learning, that it gives you much more power and control over the timing of your weekly course responsibilities. But if you’re looking to talk, to discuss—to make a few colleagues or even friends—well signal this by jumping in earlier in the units and increasing your presence in the discussions. Finally, and this gets at the situation from the other side: be friendly. Keep an eye out for those in the room who aren’t getting much feedback or response. Reply to them! Even if whatever they’re talking about isn’t something you’re interested in talking about, find something to say about their post which might carry the conversation forward a little. It can make a world of difference if someone gets even a little acknowledgement, just a little response, that lets them know that they’re not invisible. You all probably know how deflating it can be if you make a post and no one responds. Because you know that feeling, be on the lookout so that no one else has to experience it. Okay that’s it for the four main points for this letter. Before signing off let me link you to resources of which every MA student should be aware. This information repeats information found elsewhere on this blog. Okay this blog post here contains a rundown of resources and contact-info that Mercy College provides for its students, whether on-campus or online. On this post here you’ll find critical information about the incomplete “I” grade which some of you might occasionally receive. For those approaching their last semester, you must pay attention to your required comprehensive exam, to the instructions for how to enroll in the final 599 course, and to the application you must complete in order to graduate. For those hoping to enter the college teaching job market check out this post here where I introduce a variety of resources and information on that topic. If you’re going to be applying to anything in any academic field you’ll need to have your curriculum vitae (CV) polished up and also need to know the difference between a CV and a resume. I talk about that here. Finally, remember that although you can get advising from Student Services, I serve as faculty advisor to every student in the MA program. I am here to help and to answer any questions at cloots@mercy.edu. Okay that’s it! Have a great school year and fall semester, everyone. The spring schedule and registration date/time will be posted here on the blog before the end of this month so as always, check back here periodically to stay up on the latest. Welcome, everyone, to the 2016 – 2017 school year. I’ve broken this letter down into three parts. The first part touches upon something of what it means to be an MA literature student in the world today, and is meant to encourage you as you head off into the new school year. The second part introduces you to a special theme that we’re hoping to emphasize across all of our liberal arts programs here at Mercy College this year. The third part contains a review of some helpful resources and other practical points about graduate study to keep in mind this and every semester that you’re with us. I want to begin the year by commending all of you graduate literature students for having the conviction to pursue your goals inasmuch as they include earning the Master of Arts degree. I’ve written of this before, but it’s worth repeating that being a student of literature, which is to say a student of the humanities, which in an overarching sense is to say a student of the liberal arts, is not always an easy thing to be in our world today. Your passion and pursuits are perhaps not always understood or appreciated by those around you, sometimes not even by those closest to you. Our society has a habit of casually marginalizing the importance of the arts as a meaningful pursuit, field of study, or career. English, like most of the liberal arts, is a discipline that in our increasingly data-based and so “pragmatically-geared” society has become a soft target for those who think only in terms of practical outcomes. finally, in a business sense, an MA can be a degree that complements another degree, such as one in management, and so “rounds out” an applicant in the eyes of those hiring for such positions. But here’s the rub, the thing that I believe many and perhaps most MA literature students feel: the pragmatic, though it matters, is the lesser point. The greater point is that we love literature, we love words. That is where this begins. Life is just better when you’re in the flow of literature, when you’re engaging the words written by humanity’s great poets and thinkers and authors from across the centuries, across millennia—when you’re engaging them alongside others. And so though we can respond fittingly to questions about practicality and pragmatism, let us more recognize how the impetus to enroll in graduate literary study is fueled by some wonderfully strange and relatively rare element burning in the deep core of your being. If you are here, on some level it is because you’ve felt the mystery, the power, the imperative coursing up through the literature of the past; and you want to stay close to it; you want to be a part of it. To be a graduate literary student is to be in good company with what Emerson would call “the like minded,” which bespeaks not reductionism or homogenization of difference but rather simply a shared appreciation for the wonder of the written word, and a desire to explore and explicate humanity’s writings and wisdoms alongside others who feel similarly. As some of you know, our school of liberal arts (which is one school out of five here that together constitute the greater Mercy College) welcomed a new Dean at the start of last year, Dr. Tamara Jhashi. If you’re curious to attach a visual to the name you can see her pictured here in the blog post for our spring 2016 graduate English symposium. Dr. Jhashi is a stalwart defender of the liberal arts and of the importance of the liberal arts in our lives. One thing that she has brought to our school is the idea of an annual school “theme,” not as something to which any individual or class must necessarily adhere, but rather as an inspirational idea around which some of us—if inspired to do so—might rally and to which we might together tend. The theme this year is borders. This theme of borders was arrived at holistically through feedback among the faculty and a faculty vote, all which was organized through a committee that Dean Jhashi created. I don’t have to tell you English grad students that whatever that word borders signifies or inspires is entirely up to each of us to define and pursue in our own way. It’s meant to be a broad and general theme, something that sparks ideas and doesn’t curtail or force them into any particular frame. So why am I telling you this? Well for one it’s because as students in the MA program, which is housed in the school of liberal arts, you are of course students of the liberal arts. So this is your theme to pursue, if you wish and in whatever way you wish, as much as it is mine and the other faculty here and all of the students in all of the liberal arts courses running here at Mercy College, undergrad or graduate. Perhaps you can use this theme to help you focus in on a research topic for whatever class you’re in this semester. For example in my Search for Identity Course I’m going to encourage (but of course not require) students to keep the theme in mind when designing a research topic this semester. For another thing, our Writing/Image/Text (W.I.T.) 2017 Graduate English Symposium will be on the theme of borders. Now that doesn’t mean that, if you were to come and be a part of the W.I.T symposium in the spring, that you would have to write a paper that tends to that theme—I already know that some of you are working on papers for the symposium and if that’s the case, keep on with whatever you’re doing. But we’re going to encourage you all to find some way to make your papers relate to the theme of borders. And if you’re planning on attending the W.I.T. symposium well the easiest thing to do would be to write some paper for a class over this or the next semester somehow involving the theme of borders, and then to just show up and share that paper with us at the symposium. I’ll be talking more about the symposium here on the blog in early 2017. Finally, let me collect here links to information and resources that you should all be aware of. This blog post linked here contains a rundown of resources and contact-info that Mercy College provides for its students, whether on-campus or online. This support ranges from basic student services, to mental counseling, to registering accessibility accommodations, to getting online writing and research tutoring, to our online research facilities. On this post linked here you’ll find information about the incomplete “I” grade which some of you might occasionally receive. As I explain in that post, it’s critically important that any incomplete be remedied within one year of earning it; otherwise you lose the potential course-credits and lose the money you paid for the course. For those approaching their last semester, you must pay attention to your required comprehensive exam, to the instructions for how to enroll in the final 599 course, and to the application you must complete in order to graduate. For those hoping to enter the college teaching job market check out this post here where I introduce a variety of resources and information on that topic. If you’re going to be applying to anything in any academic field you’ll need to have your curriculum vitae (CV) polished up and also need to know the difference between a CV and a resume. I talk about that here. Finally let me link you here to a post about the waitlist feature that you may encounter when you try to register for a course with no empty seats. Welcome, all you graduate literature students, to the 2015-16 school year here at Mercy College. This is your program director, Christopher Loots, writing to wish you all well here as we embark on another year of adventuring in the fields/folds of literature and critical inquiry. At the start of this school year I’d like to continue a theme from my letter last year by encouraging you all to dwell upon, and if inspired act upon, ways in which you might reach out to one another beyond the classroom so to build up the student community, your personal/professional connections, and even peer mentor-mentee relationships. Let me talk a bit more about that last one there, and what I mean by peer mentor-mentee relationships. Some of you have been in the program for a few years and are nearing completion of your degree. For those that are, you likely by this point know better than you did at the start how to navigate the different professors’ classrooms, know what this or that professor expects or doesn’t expect, etc. You’ve hopefully developed some tactics and techniques for (re)focusing your energies when working on readings and papers, as much as for de-stressing when you feel caught up and overwhelmed by the balance of graduate study and life. You’ve probably got some sort of routine or ritual figured out to keep yourself on track (more or less) throughout the semesters, to keep you in the groove of each class’s expectations and requirements. You’re hopefully well comfortable now in basic technical things like where you go to do online research, which academic database is the best, etc. Well these are all things which you may not have been as sure about or familiar with when you began here. And so I encourage those of you who’ve been in the program a semester or two to keep an eye out in your classrooms for people new to the program. This is often something that comes out clearly in introductions each semester. Whether there in the introduction thread, or in an email through Blackboard, just say hello and let the person know you’re available to help as necessary. Or perhaps exchange information and get in touch outside of the Blackboard portal. Be friendly and helpful. Now, true, not everyone needs that, or wants that. But to a new student coming into the program, a simple “hello” and “let me know if you’d like to chat, or need help figuring out the class/program” can mean a lot, both in terms of the kindness and community it shows and because he or she might really be sitting there wishing there were someone to talk to about this. Of course I am here for all of you to contact with any issues or questions (cloots@mercy.edu), but this is where the “peer” part comes into play. Developing a rapport with a fellow graduate student or students can often feel a lot more casual, friendly, and fun than developing a rapport with a professor (though that, too, is a healthy thing to be doing during your time in the program, particularly as you get closer to your 599 Thesis Tutorial). Keep in mind too that you don’t have to think of this as simply “mentor-mentee” and it doesn’t just have to be between longer-standing and new students. It’s a great idea for ALL of you to reach out here and there and develop a web of communication and community with one or some of your graduate student peers. Even people who are in their last semester can use help and encouragement from time to time. Connect beyond the classroom, is what I’m encouraging you all to do this year, and in the years to come. You all have the common bond of being explorers in the world of words, language, literature; of being adventurers of the mind and the heart and the psyche. Really, MA students are a select group, and are often misunderstood by those in the world around them. Look to your metaphoric left and right: you are among the like-minded, in the best and healthiest sense of the term. Make the most of this time in each others’ company. Welcome, everyone, to the 2014-15 school year of the Mercy College Master of Arts in English Literature program. I hope all of you have had a fine summer and are returning (or coming for the first time) to our virtual campus full of curiosity and energy. For some of you this online learning environment might be a new thing. Even for some of you who have been with us for a time, the online learning environment presents its own set of challenges. I hope you’ll keep an eye out for one another in your virtual classrooms, for anyone who seems to be struggling with the technical (or other) aspects of virtual learning, and that you won’t hesitate to reach out to one another to say hello and see if you might be of some help. Of course there are a number of technical support features available (look in the left-hand menu of your Blackboard sections for helpful links). And you should feel free to contact your professors with specific issues and questions. But even just a note to another student through the Blackboard email feature can sometimes make the difference between a student feeling like they’re on a virtual island, and feeling like they’re connecting to the course and to the student community. One thing I’d like us to work on increasing this year is the feeling of an online student community. And toward that end the faculty are working on some initiatives behind the scenes (still trying get approval for an informal, non-Blackboard real-time chat room for all MA students). In the meantime I encourage each of you to try and build your own student-to-student connections in the class and outside of it. Trade email addresses, trade phone numbers if you’re comfortable doing that; create informal study groups on your own, through your own email or skype exchanges. Of course all of you should know that as the Program Head I am here for you. And each of you can write to me at any time if you have any questions, issues, worries, or comments concerning your experience or progress in the program. Additionally, although each of you has an academic advisor, I can also assist each of you in understanding program requirements and course selection. I’m happy to hear from you, and happy to talk or (much more easily) trade emails. I work with the advising department to try and make sure each one of you is taken care of and is on track for the degree. Just think of me as your personal faculty advisor. As those who read this blog know, we’ve been working behind the scenes here on a slightly evolved program structure that will give you more freedom and choice when it comes to determining how you will earn your degree. That was approved by the College this past spring and I’ve received word that the Registrar is updating our program information in her system right now, and that the new structure will take effect in Spring 2015. How will that effect you and your progress toward the degree? Either not at all, or only positively. The changes only expand the options students have for meeting degree requirements. So for example all students in the current/old structure are required to complete ENGL 510, Theory and Practice of Expository Writing. That’s a fine class, and we’ll still continue to offer it. But it’s always bothered some of us here that there are no alternatives to it. It can provide invaluable preparation for students who aspire to teach composition and expository writing, but that doesn’t describe the ambitions of every student in our program. Some of you are creative writers and are here primarily to hone and inspire your craft. Some of you are really here just for literary study, and might not want to devote one of your ten required courses to a class more associated with a Composition and Rhetoric pursuit. We know for a fact that many of you agree, based on the surveys and polls I sent around last year (I sent survey links to all of the student email addresses on file with Mercy). And so in Spring 2015, rather than being required to take 510, you will have a choice of courses to take to complete what we’re calling your “Writing and Literary Forms” requirement. You may take 510 to meet that requirement, or you may elect to take Advanced Creative Writing instead; or to take any one of the literary forms courses we offer (on the epic, poetic, essay, narrative, and dramatic forms). All of the upcoming changes will be just like this: expansion of choices. No one will lose anything. All completed or in-progress work will count toward your degree as it has. Throughout this school year I will post updates and other information about these changes on this blog, as they are implemented. Once we have the final word from the Registrar I will finalize the draft of the Student Handbook currently available on the left-hand side of this blog, and will replace that draft with an official Student Handbook that will detail every little thing you might want to know about all of this. And as we roll out the new structure, you can and should of course contact me personally at any time with any questions you have about any of it. I will make sure you’re taken care of, and that your progress to your degree will be clear. Within the next week I will be posting here the Spring 2015 course offerings. There will be seven courses total. In addition to some program standards, we’ll be running a selection of eclectic courses which I hope you’ll find interesting. As a quick preview: Professor Sax will be running a Magic in Literature course. Professors Sax is one of the world’s foremost scholars on animals in literature, and on esoteric, hermetic, and mythological literatures. Dr. Kilpatrick, who over the past year has presented and attended conferences from Istanbul to England on topics involving the philosophy of sport, will be leading a special running of the course Sport Literature. Professor Dugan will be running a new course focusing just on the writings of Henry James and D. H. Lawrence. And Professor Emeritus Donald Morales will do our program a great boon when he returns to teach a course on the subject and literature of Afropolitanism, on which he has been presenting this year at conferences in Ghana, England, and Finland. Check here soon for a complete list of Spring 2015 courses, and for more details about what each one of these courses will cover. I’ll also share with you the day and time that spring registration opens. 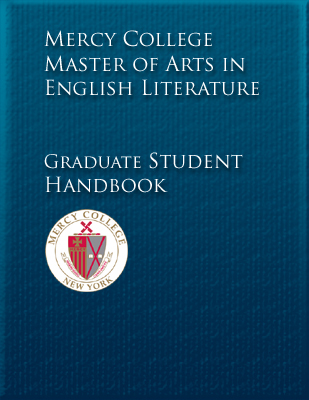 Welcome, all you masters students, to the 2013-14 school year of Mercy College’s Master of Arts in English Literature program. This is Professor Christopher Loots writing as the new head of the MA program. Before we move forward into our new year, please let us recognize the hard work done by Dr. Richard Medoff, our exiting director who moves on to become Chair of Communications and Arts. I would also like to recognize the continuing work of all our graduate faculty: Dr. Boria Sax, Dr. David Fritz, Professor Celia Reissig-Vasile, Professor Adam Fitzgerald, Dr. Sean Dugan, Dr. David Kilpatrick, Dr. Kritsen Keckler, Dr. Yunus Tuncel, and Dr. Alison Matika, our newest member. This letter marks the first of what will be periodic letters from me concerning program news, upcoming courses, things to keep in mind when proceeding toward your degree, etc. I will also reach out to you now and then for feedback and news about any scholarly or creative achievements you may be earning. On that note, please consider this an open invitation to share with me any such activity. This can include, for example, any English literary conferences you might be attending. I know we have a number of active poets in the program, some of whom are out there in the community participating in poetry events, open mic sessions, and other such creative endeavors. Please let me know about any participation in such things. I know we have many creative writers in the program. And all of you are scholarly writers—you write scholarship every semester when you write your term papers. So please let me know if any of you see any of your creative or scholarly work published or recognized. I would like to maintain a view of all such activity going on within our program’s learning community, so that we might celebrate it in future announcements such as this, and so that it might inspire and encourage us all. I also want to share such things with our Dean, and the surrounding Mercy College community. Just drop me a note at CLoots@mercy.edu. Our graduate student body includes many traditional literary scholars, some of whom aim to teach at community college, or to adjunct at senior (4 year) colleges. Both of these pursuits can be pursued with the M.A. Some of you aspire to pursue a Ph.D. after the M.A., perhaps in hopes of one day applying for faculty positions at senior colleges. If any of that describes you, it’s a good idea to try and get involved in conferences, as they’re good for a resume (or curriculum vitae–CV–as we call them in the field). At the same time, though, our masters students come from a variety of life-situations, not all of which involve time for or interest in these traditional academic and literary pursuits. And that’s okay. You all have your own varied reasons for being in the program, and your own private ideas of what you hope to achieve through the program. Some of you are here to explore literature as a supplement to your life, family, or career. Some of you are already in education, are teachers who are here to strengthen your existing subject knowledge, or earn credits that might enable you to earn more or be eligible for promotion. More than a few of you are poets and creative writers who know that one of the only trusted ways to improve your own writing, other than writing a lot, is to read and study the great writings of the past. Some are here because the M.A. is a useful degree for aspirations in many fields such as editing, publishing, journalism, copy writing and editing, etc. On some level all of us are here out of love for literature; or as one of you put it so brilliantly in a course introductory thread: the “world seems brighter, sharper, and more enriched when studying literature and the arts.” Indeed. No matter your reason for being here, if you are here, you’re in the right place. For if I may, I think beneath it all, we might also be here because at some point in our lives we heard what Gatsby heard when he listened for one last moment to that tuning-fork struck upon a star. There is great meaning and mystery in all of literature, as much as in all our lives, the exploration of which involves traveling what Whitman called the journeywork that connects the stars. As students of literature, we know that not everything can be measured or quantified, and that perhaps the most meaningful things are the things least quantifiable, most ephemeral. Masters of Arts students, you walk forward in a world where art and literature are at risk of being devalued because their value is neither obvious nor easily weighed. I applaud you for caring, and for carrying forward the study of literature. By doing so you are part of a long and storied procession of scholars just like you, stretching back to ancient times. And so on behalf of all the graduate English faculty, welcome, again, graduate Mercy literature students, to the 2013-14 school year. As you go out into your classes this fall, I would only encourage you to make the most of this time, of these weeks and months ahead. In an online program such as ours, much power is in your hands to make of this experience what you will. So read, think, write, discuss, and have fun exploring together.